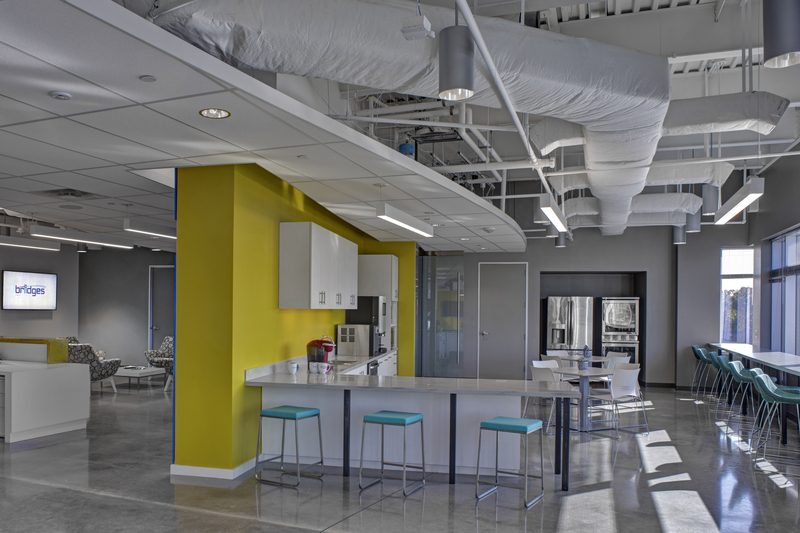 Bridges Consulting’s new Innovation & Collaboration Headquarters is a fresh and bright modernized space. 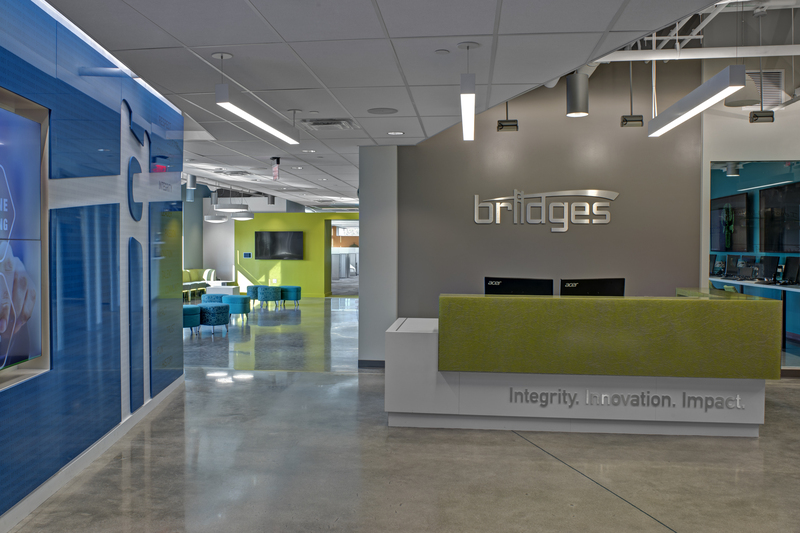 The open offices tie to Bridges’ strategic plan goals of increased growth and is a place to support their cyber solutions, big-data applications, and frontier innovations with their distinct culture that delivers impactful solutions. 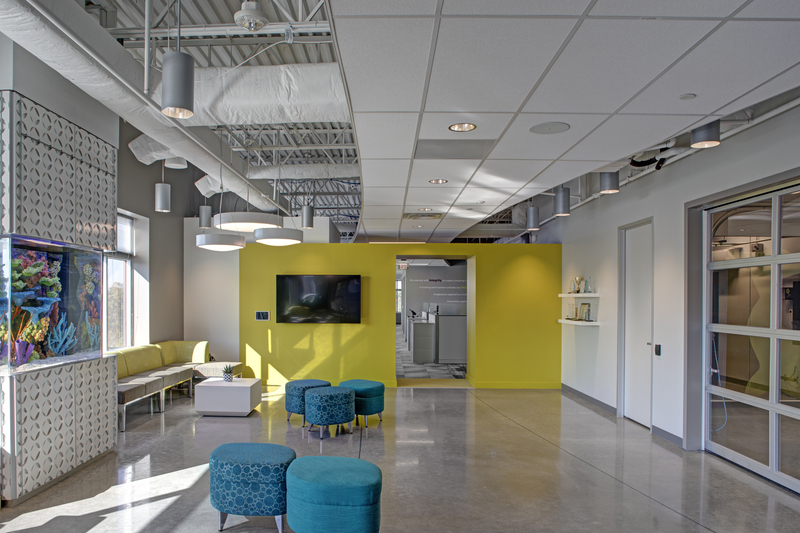 The space was built to have a compelling place to experiment with technology, brainstorm, visit for team meetings, host events like Bridges’ Lunch ‘N Learn Seminars, and have some fun. 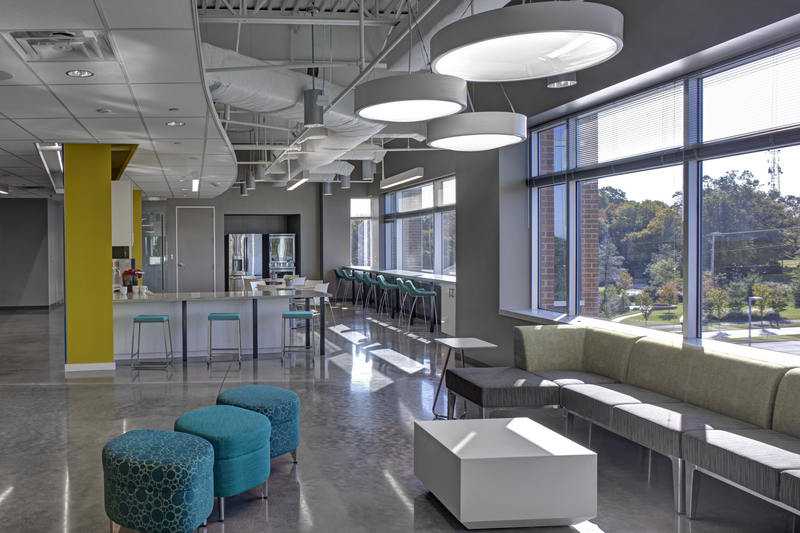 The new facility offers new gathering spaces, collaboration areas, innovation centers, conference rooms, and workspaces to draw in their employees, customers, recruits, and prospective customers. 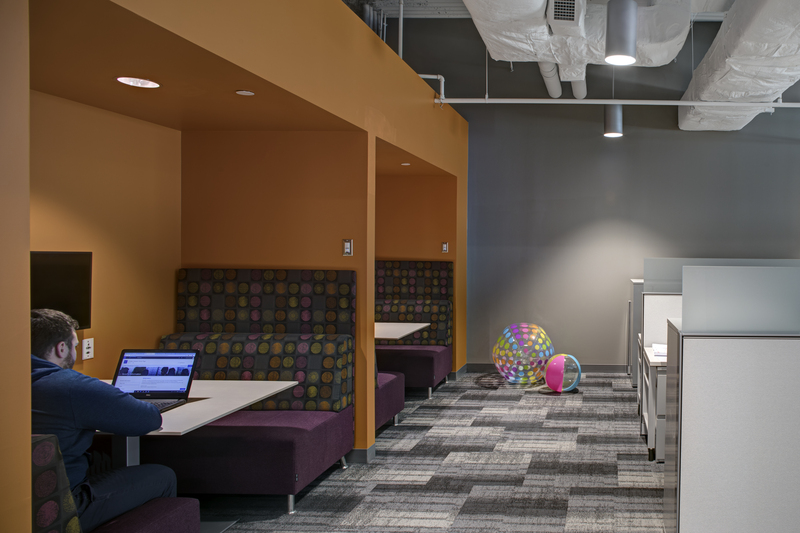 Bridges’ engineers are particularly excited about the new Innovation Lab where they can safely test or take apart new software or devices in a space that is isolated from their daily work. 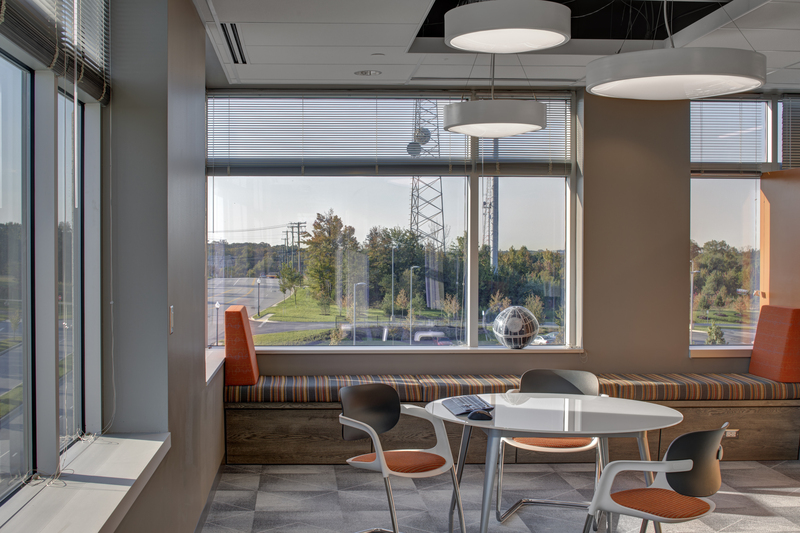 The corporate workspace strategy was to develop a dynamic environment that responds to the balance between physical space, corporate culture, work needs, technology, brand, and organizational expectations. 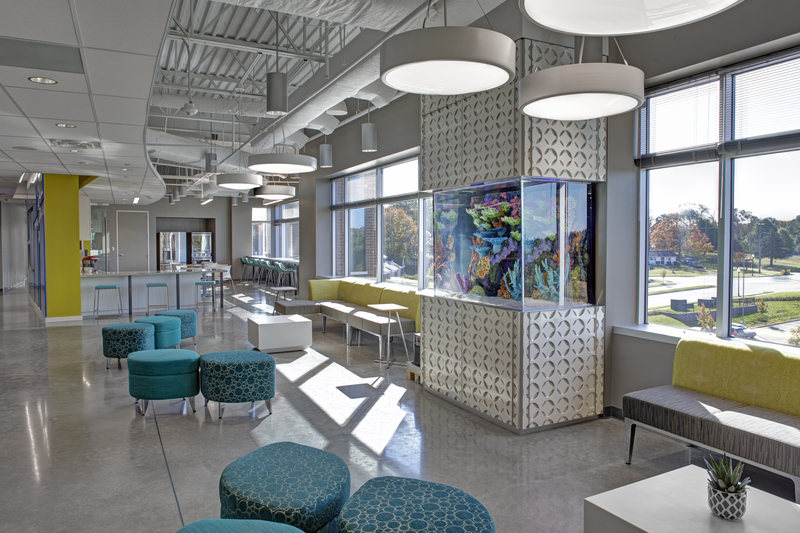 The main feature of the space is the central lounge and large pantry area accented with polished concrete floors and highlighted by the a custom saltwater aquarium with a custom decorative millwork surround. 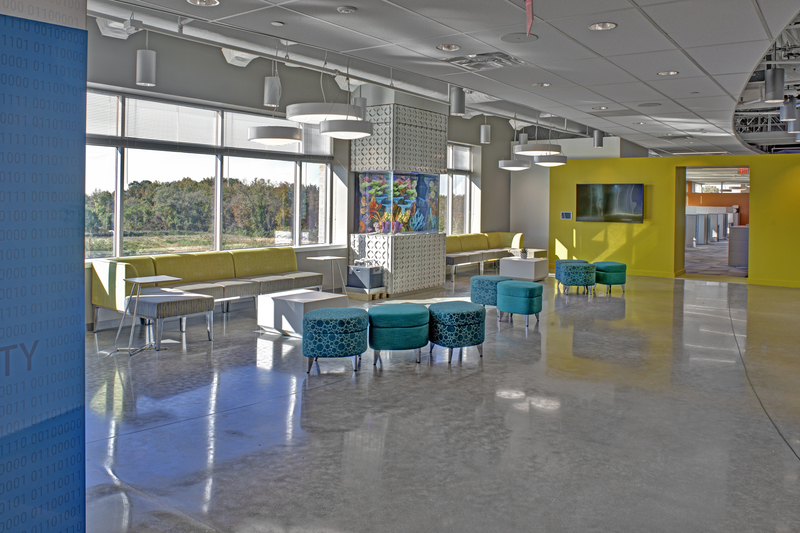 Other comfort features include quiet corner huddle rooms and custom window benches. 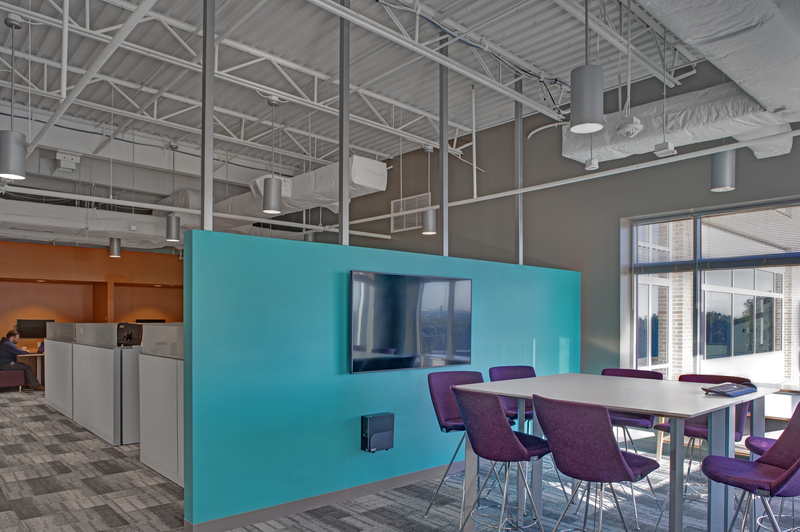 The Innovation Center is outfitted with two brushed aluminum roll up doors which can be opened to create overflow space for all hands meetings or client gatherings. 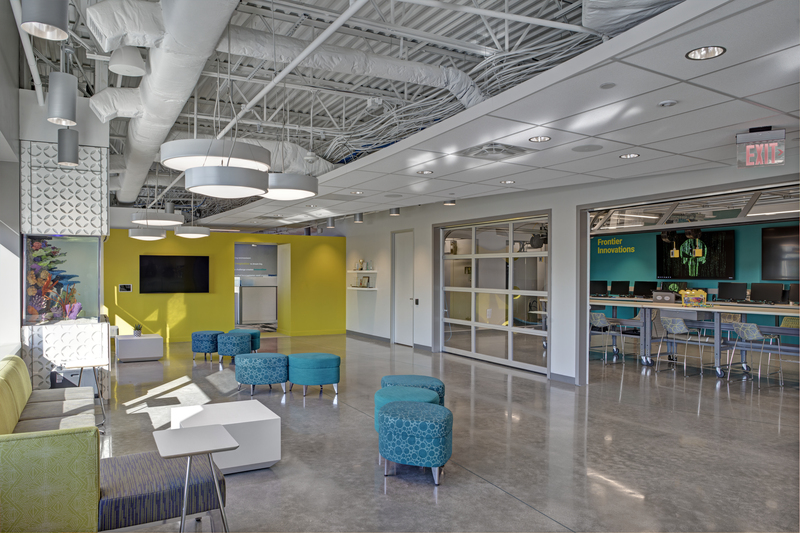 The majority of the space is open ceilings with a floating acoustical ceilings that bridges the length of the entire space. 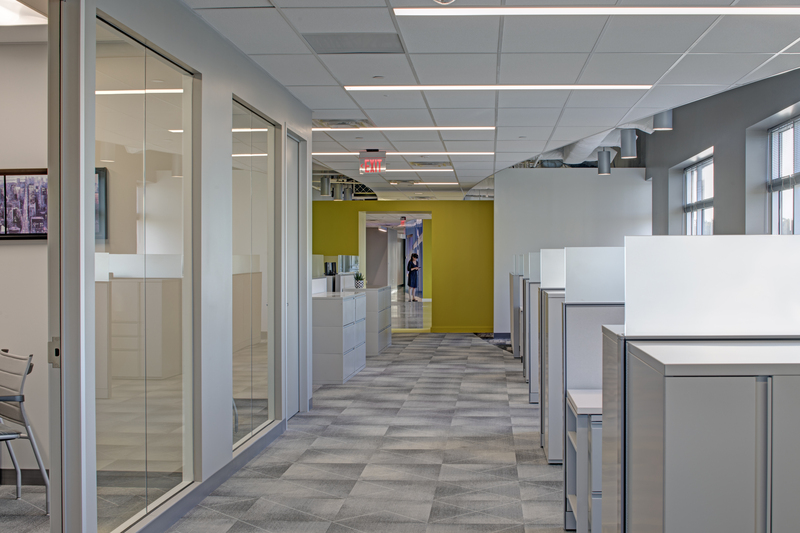 The space was designed to be a show piece and to foster collaboration, engagement, and innovation and Mazzuca Contracting seamlessly delivered.